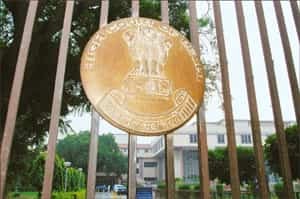 New Delhi: The Delhi high court will set up an arbitration council on 25 November along the lines of the Singapore International Arbitration Centre to provide a more “cost-effective" and “efficient" solution for companies, which usually have to go overseas to settle disputes. The centre will work under the aegis of the Delhi high court and operate from within its premises, according to a press release. The primary objective of the initiative, spearheaded by the chief justice of the Delhi high court A.P. Shah, is to bring more transparency and reliability to arbitration and quicken the process by institutionalizing it, the press note added. “It’s a very positive move on the part of the judiciary and has dispelled the notion that the judiciary in India does not support arbitration," said Sumeet Kachwaha, partner at law firm Kachwaha and Partners. It will mean the end of the ad hoc nature that prevails, Kachwaha said. Senior counsel Dushyant Dave, member of the International Council of Commercial Arbitration (ICCA) and part of the committee set up by justice Shah on the arbitration centre, feels vindicated. “It will send a positive signal to foreign investors who were wary of making India as the arbitration centre earlier. Since the arbitration centre would work under the Delhi high court, proceedings would exude more independence and credibility," Dave said. Further, it will enable the centre to have a pool of arbitration experts not only from the legal community but also engineers, architects, chartered accountants and others. “Today, when we have 35 million cases pending in the courts, alternate dispute resolution, or arbitration, would ease pressure on the courts," Dave said.